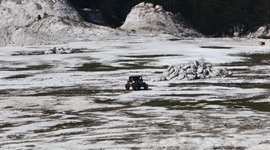 Bulgaria Offroad Competitions - News - THE GREAT RETURN ! 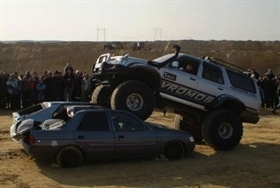 The well known club "Vromos.com" from Bourgas recorded a massive participation in class " Rally Raid " . Trademark of the pilots from Bourgas are the attractive performances and spectacular overcome of the routes which deservedly got them into the focus of the public and media. The club also organizes two rounds of the National Off road Championship and their trademark is an attractive presence of beauties and powerful off-road machines. In Kardzhali will be the debut of a several new crews led by the well-known pilot Yavor Atanasov, who has also prepared the machines of the debutants.